Refuse coming out every nook and cranny of your house? Or perhaps you just missed a few city refuse pickup days and you need to find a different way to get rid of everything. JUSTJUNK is the team you want for all refuse hauling! No refuse removal is too large for us! Every refuse collection is different. That’s why we at JUSTJUNK will come out to see how much you have in order to determine the proper price in a free, no obligation quote. If you are satisfied with this price, we are all ready with our truck to do get to work right away – no rescheduling required! Pricing is based solely on the volume of space your refuse takes in our truck. Always included in the price is all of the lifting, loading and refuse disposal involved with any refuse clean-out. 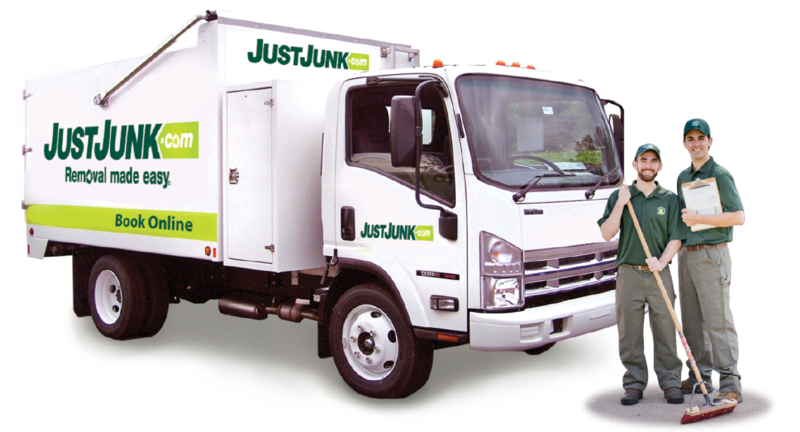 Our green-clad gentlemen will arrive in style with our JUSTJUNK truck and are ready to work for you! 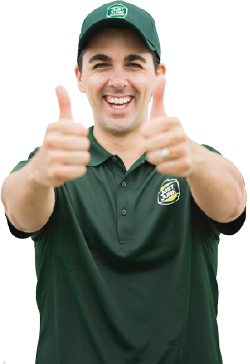 Book your refuse removal quickly and easily with JUSTJUNK — book online today! 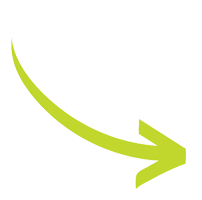 We offer our customers same or next day service, so we can take of your refuse at your convenience! If you require more information, please call us at 1-888-586-5888. JUSTJUNK is a proud player in environmental initiatives involving donation and recycling. We work with local charities to ensure the donation of any reusable items. If donation is not possible, we work hard to recycle anything that can be recycled. Each year we keep approximately 60% of the junk we remove out of the landfills! In our experience, refuse hauling provides a lot of opportunities to donate and recycle! If you would like either refuse donation or refuse recycling, please just let us know and we’ll be happy to take care of it for you!